Homeowners have used bedding plants in Stokesley to improve the appearance of their homes for decades. A carefully placed set of colourful plants can be expertly mixed to create a captivating view. It gives your garden an effect that is nothing short of a rainbow. It makes your home appear more inviting to guests while adding a lot of value to your home’s appearance, something you can be proud of. Looking to buy bedding plants near Stokesley? You will find that our collection of plants and flowers at Whitegates nursery is just what you need to update your garden design. We have a broad range of bedding plants that includes the most popular varieties used by homeowners. Moreover, most of the bedding plants we over are homegrown at our nursery! Our attendants can also provide you with tips and lessons on how to maintain your bedding plants and create a great visual effect by mixing the varieties. Homeowners choose bedding plants near Stokesley for a wide variety of reasons. First, bedding plants grow very quickly and spread through the garden bed quickly to give it a fuller look. Some species can grow four times in size in just one month making them ideal for people looking to improve their garden quickly. Bedding plants are available in a wide variety of colours. This allows growers to choose one that works best with their garden and matches their home colour. Bedding plants can grow to enormous sizes. A typical plant can grow to a height of a few meters within a season. Although bedding plants are seasonal, their seeds can be saved and reused the following year. Homeowners who are good at gardening and on a budget find bedding plants a good investment. A mixture of bedding plants used together can help create an amazing and colourful variety in your garden and give it an artistic look. Bedding plants are popular and you can always find a large variety at any nursery. People tend to shop for plants that are easily available. The summer variety of bedding plants can give your garden a great artistic look that you can be proud of. 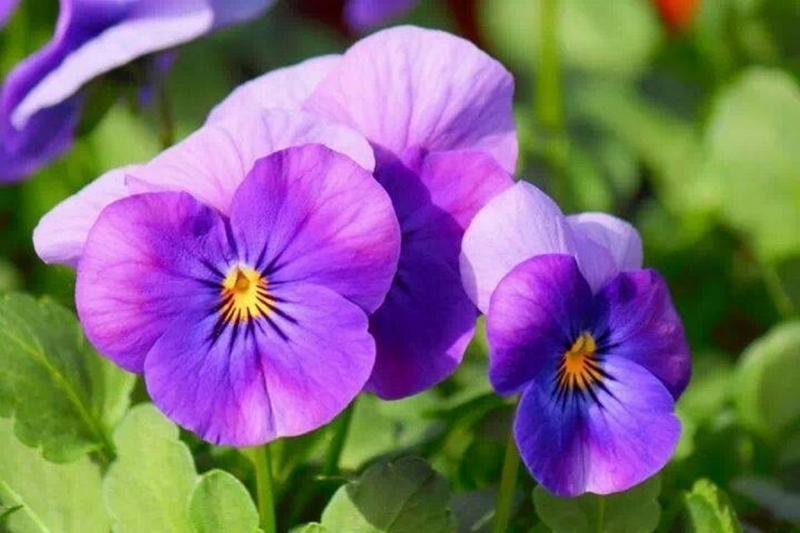 Some of the more popular varieties of bedding plants in Stokesley are pansies, violas, petunias, geranium, primrose, heathers and sweet peas. All of these varieties are easy to grow and they can add a lot of character to your garden. Wallflowers, begonia, cosmos, lobelia and busy lizzie are also quite popular. You can find these varieties at our Whitegates nursery which is close to Stokesley and less than half an hour’s drive. Besides bedding plants, we also stock a wide range of perennials! Our nursery is open seven days a week from 9 am to 5 pm, including Sundays when we are open for business from 10 am to 4 pm.